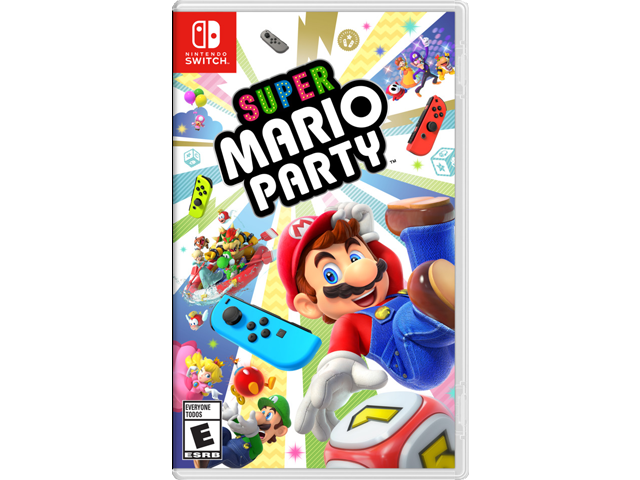 The party comes to Nintendo Switch in this complete refresh of the Mario Party series! The Mario Party series is coming to the Nintendo Switch system with super-charged fun for everyone! The original board game style has been kicked up a notch with deeper strategic elements, like specific Dice Blocks for each character. The game also introduces all-new ways to play, including Joy-Con controller enabled minigames, and new modes to enjoy with family and friends. Board game play goes back to the four-player basics as you take turns and race across the board searching for Stars. You can also pair up two Nintendo Switch systems and delight in this dynamic play style, such as in the new Toad’s Rec Room mode. With new modes and new minigames coupled with original board game play, the party starts anywhere, anytime, and with all kinds of players.